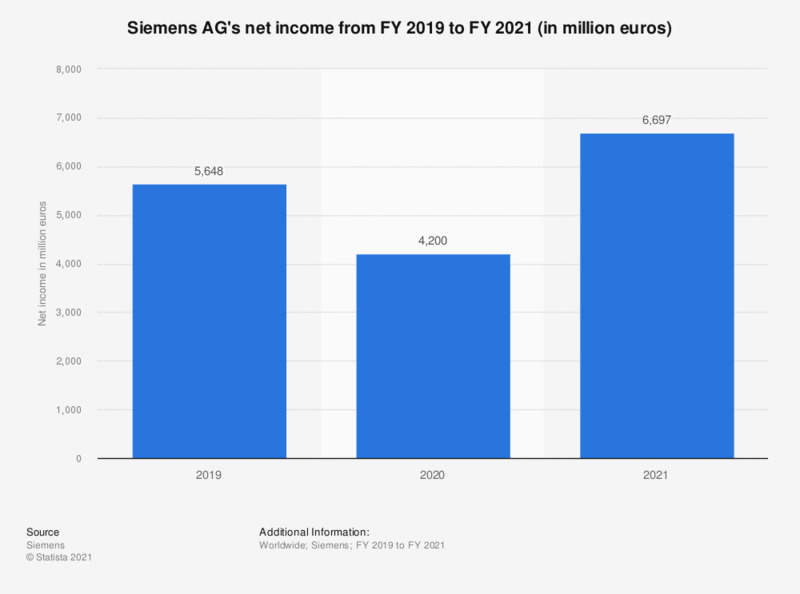 This graph illustrates Siemens AG's net income between the 2017 and 2018 fiscal years. The engineering and electronics company produced net income of around 6.12 billion euros in the fiscal year of 2018. These figures are for the years ended September 30.